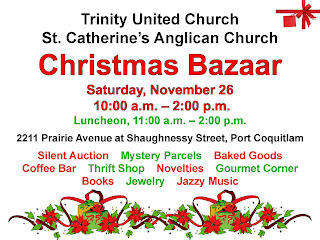 On November 26, 2011, the St. Catherine’s Anglican Church Women (ACW) will hold their 102nd annual bazaar in partnership with the women of Trinity United Church. This long-standing tradition once helped to fund construction of the original St. Catherine’s Church building and continues to fund both the church and the ACW’s mission in the wider community. “Easily the most successful sale of work which Coquitlam has yet seen was held in the Municipal Hall under the auspices of St. Catherine’s Church Ladies’ Society and the able direction of Rev. H. Fane Edge, who was as usual, the moving spirit of the day. “Crowds attended the bazaar which was so financially successful that at the end of the afternoon the tables were cleared of their goods and a hundred or so young men bemoaning lack of appetite for supper. 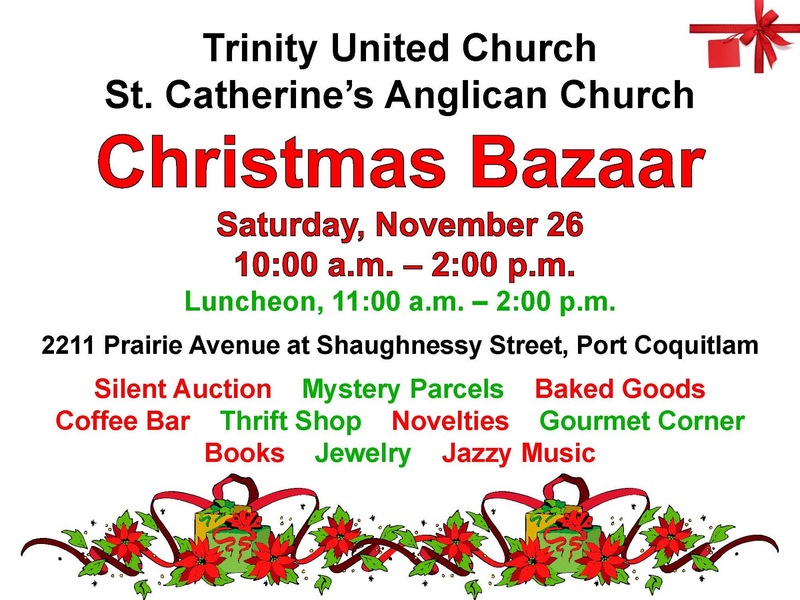 Mark your calendars and plan to be part of the continuing tradition at the St. Catherine’s-Trinity Annual Bazaar on November 26.